Our adaptable digital solutions are as unique and as flexible as you need them to be—whether you study on campus, online, in practice settings, or any combination of the three. 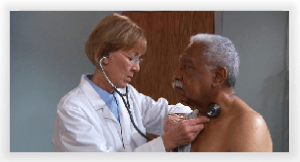 systems physical examination videos with an emphasis on clinical accuracy and patient care. practice quizzes, interactive flashcards,case studies, eBooks, and more. three-dimensional objects—just as they appear in the living body!